The exhibition will continue Sydney’s long and distinguished history of showcasing the art of our times and reinforce its position as the national leader in presenting relevant and engaged contemporary arts and cultural programs. A single curated program presented across three landmark institutions, the large-scale exhibition will further extend the already significant Australian arts commitment of each institution, and enable a strategic approach to programing grounded in collaboration and innovation. It will present local artists among their national peers, bring the best work from across the country to Sydney, support artists in the realisation of new work and consolidate the profile of Australian arts practice both locally and internationally. “It’s fantastic that through this partnership, colleagues across all three institutions are working with Australian artists at various stages of their careers to create dynamic displays of art that also express the individual voice of each institution,” he added. For each iteration of the project, the AGNSW, Carriageworks and MCA will work collaboratively to develop the curatorial rationale and select emerging, mid-career and established Australian practitioners. The project will forge close relationships with artists through commissioning and developing new work. Artists will be drawn from across NSW and Australia including Australian artists living overseas, charting important global connections. The work of Aboriginal and Torres Strait Islander artists will feature prominently. “It will also enable our three institutions to reach, engage, share and grow diverse audiences through free and low-cost public programs, fostering participation and knowledge sharing,” she added. Collaboration between the partners on delivery of audience engagement programs will continue in the periods between exhibitions, with a focus on generating meaningful encounters with artists, participatory experiences and innovative digital content. As a counterpoint to the Biennale of Sydney, The National: New Australian Art will be the only large-scale multi-venue exhibition series in Sydney focused solely on contemporary Australian art. 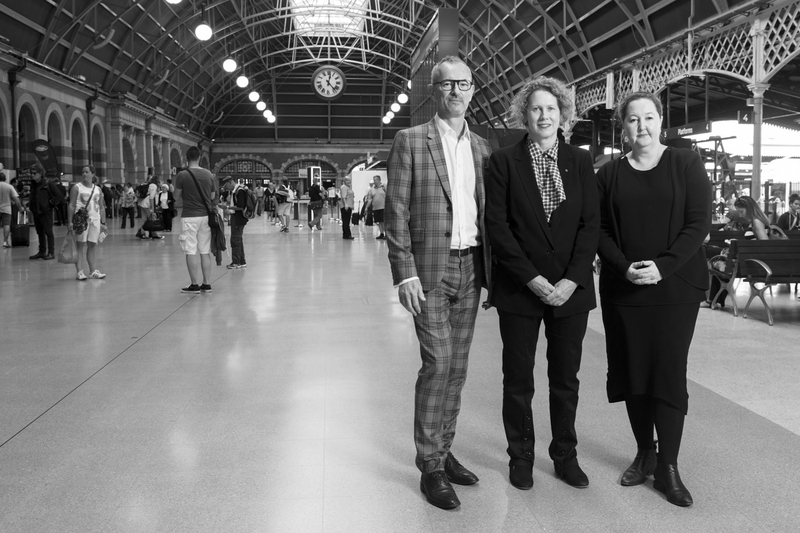 Development of The National: New Australian Art is led by Suhanya Raffel, Deputy Director and Director of Collections, AGNSW; Lisa Havilah, Director, Carriageworks; and Blair French, Director, Curatorial & Digital, MCA.